A major mortgage lender has been slapped with a $3.5 million fine for allegedly participating in an illegal kickback scheme. Two real estate brokers and a mortgage servicer that allegedly accepted kickbacks from the lender have also been fined. California—based Prospect Mortgage is one of the largest independent retail mortgage lenders in the country, with almost 100 branches nationwide. 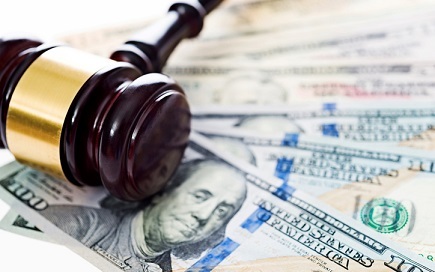 According to the CFPB, between 2011 and 2016 the lender used “a variety of schemes” to pay kickbacks for referrals of mortgage business – a violation of the Real Estate Procedures Settlement Act (RESPA). For example, the CFPB claimed that Prospect established marketing services agreements with companies under the guise of payment for advertising or promotional services. However, the agreements were actually used to disguise kickback payments, the CFPB alleged. Prospect allegedly maintained “improper arrangements” with more than 100 real estate brokers. In addition to setting up questionable marketing services agreements, Prospect allegedly paid brokers to require consumers – even those who had already prequalified with another lender – to prequalify with Prospect. The lender also allegedly split fees mortgage servicer Planet Home Lending to obtain referrals. In addition to paying the $3.5 million penalty, Prospect will be prohibited from paying for referrals or entering into any agreements with settlement service providers to endorse the use of their services. Planet Home Lending, meanwhile, will “directly pay harmed consumers” a total of $265,000. The company is also prohibited from paying for or accepting payment for referrals, and from entering into any agreements with settlement services providers to endorse the use of their services. The CFPB also took action against real estate brokers ReMax Gold Coast and Keller Williams Mid-Willamette for allegedly having improper arrangements with Prospect. ReMax Gold Coast will pay $50,000 in civil penalties, while Keller Williams Mid-Willamette will pay $145,000 in disgorgement and $35,000 in penalties. This entry was posted in Business, robertjrussell and tagged california, home loans, nortgage, real estate. Bookmark the permalink.